Mitsubishi Tanabe Pharma America recognizes the challenges that people with ALS and their families face. We are proud to support the ALS Association in its work to increase awareness and funding at a national and local level. Our collaboration with The ALS Association is built on shared beliefs that while we search for the treatments of tomorrow, families need help with vital care services today. 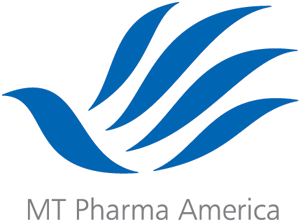 At MT Pharma America, making life better for families is integral to our corporate mission and we are committed to working together with the community to accomplish this goal. Quantum Rehab is proud to help create a world free of ALS by joining the Walk to Defeat ALS! We encourage all employees, suppliers, friends and family to join our team and help bring an end to Lou Gehrig's Disease. 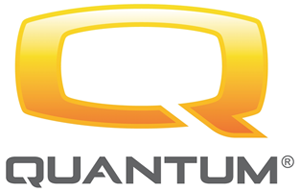 Quantum Rehab® is a premier global innovator of consumer-inspired complex rehab products, including the Q6 Edge® 2.0 and Quantum Series of power bases, iLevel® seat elevation technology, TRU-Balance® 3 Power Positioning Systems, Q-Logic 3 Drive Control System, Synergy® Cushions and Backs, and Stealth® Products positioning components. Please visit www.QuantumRehab.com. Numotion has mobilized our employees across the nation to join Walk to Defeat ALS as a Premier National Team! With a strong local focus, we aim to be the most responsive and innovative complex wheelchair company to do business with. As a loyal and helpful partner for our customers, we’re here to move lives forward for years to come. It’s a nu day in mobility. We encourage our Numotion family of employees, customers, partners and friends to join us as we Walk to End ALS. Permobil has been a proud supporter of The ALS Association and the Walk to Defeat ALS® for more than seven years. Over this time, the company has contributed close to $1.4 million in support through financial and product contributions. For more than 40 years Permobil has been working with, and for, people with various kinds of functional disability. Permobil develops and manufactures powered wheelchairs and transport and communications systems can be customized to an individual's needs and provide new levels of independence for adults and children with a wide range of disabilities. Permobil is committed not just to donating funds to The ALS Association.The internal culture of the company makes the ALS community a priority, and when an order is received for a patient with ALS, it is immediately moved to the front of the production line.